TEHRAN: Iran has increased its missile production three-fold, a senior Revolutionary Guards commander said Wednesday, according to the Fars news service. The commander did not explain during what time period the production increase had taken place. “In the past, we had to do a lot of explaining to various bodies for our actions but it’s not like that anymore,” Brigadier General Amir Ali Hajizadeh, the head of the Guards’ aerospace division said, according to Fars. “Our production has increased three-fold compared to the past,” he said, referring to missiles. The government, parliament and other Iranian officials had, in particular, agreed on the need for ground-to-ground missiles, Hajizadeh said. Fars gave no further details. France’s foreign minister visited Iran on Monday on a delicate mission to reaffirm Europe’s support for a nuclear deal that opened Iran’s economy, while echoing US concern about its missile program and role in regional conflicts. Jean-Yves Le Drian’s visit reflected French efforts to safeguard Iran’s 2015 accord with major powers. US President Donald Trump has threatened to pull out of the deal unless three European signatories help “fix” it by forcing Iran to limit its sway in the Middle East and rein in its missile program. 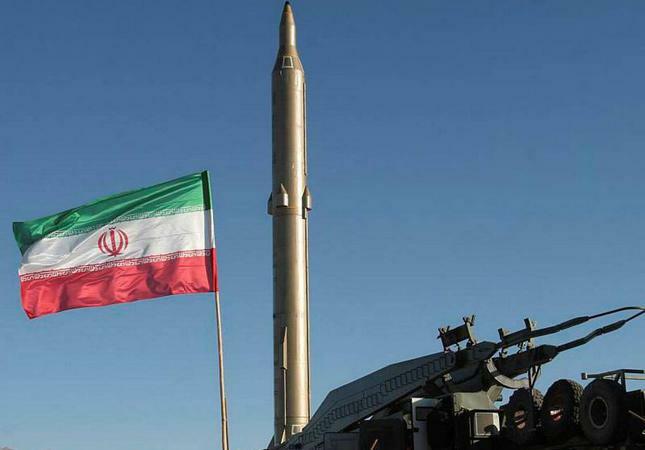 Senior Iranian officials told Le Drian on Monday that Iran’s ballistic missile program was not up for negotiation.